Leigh’s 590-page debut thriller, the first of a planned trilogy, may remind some readers of The Da Vinci Code—except that Dan Brown’s book was not nearly so ambitious. 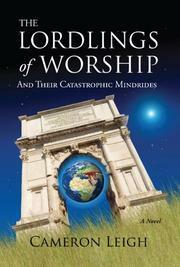 Debut novelist Leigh tells the story of a quest to find the fabled and powerful Creation Code. The code is the only thing that can protect the heroes from the villains that control the world’s corrupt power structures—the conflict between the two has raged throughout history, going all the way back to ancient Greece. (The original good guys were the Old Testament Israelites, who were persecuted and exploited by people trying to uncover the code.) In the present day, there are only a handful of “good” people looking for the code, including Pastor Brix Brighton and, separately, a scholar named Alan Taveler. The novel recounts Rev. Brighton’s past, from his college days through World War II, Israel’s 1948 war of independence and his seminary days. Readers are also briefly introduced to his son, Brix II—improbably referred to as Two Brix—and his grandson, Three Brix, who also go into the ministry. Taveler, meanwhile, was once a prisoner in Afghanistan, and his hard treatment there sparked an interest in the Torah which led to an obsession with finding the fabled Creation Code. Most of the book consists of page after page, chapter after chapter, of theological explication, linguistics and biblical history. The novel also includes long tutorials about numerology, ancient alphabets, cryptology and Kabalistic lore, as the characters attempt to crack the most important code in all history. Although such detail may be necessary to the plot, many readers may find such uninterrupted arcana slow going. However, readers who love to burrow into such material will find the book a treasure trove. After this installment’s extensive groundwork, the story’s drama may pick up in volumes to come. A promising, if extraordinarily detailed, novel from a promising new talent.